BONUS! Receive a free copy of The Perfect Cookie Digital Issue with today's purchase. Check your order confirmation for instructions on downloading your instant access PDF. Our first-ever cake cookbook, gathers 25 years of baking expertise to help you make everything from sheet cakes, coffee cakes, and cheesecakes to modern sky-high layer cakes, easy cake pops, and ice cream cakes. From Simple to Showstopper, 240+ Approachable Recipes. Cakes are the all-occasion dessert—the center of attention at birthdays, holiday celebrations, and dinner parties and the most welcome brunch, after-school, or teatime snack. America’s Test Kitchen’s first all-cake cookbook, The Perfect Cake, is the definitive guide to any cake you crave, from classic anytime Pound Cake (“The recipe is genius and worth the price of the book.” —The Wall Street Journal) to a stunning and impressive Blueberry Jam Cake with brilliant ombré frosting. 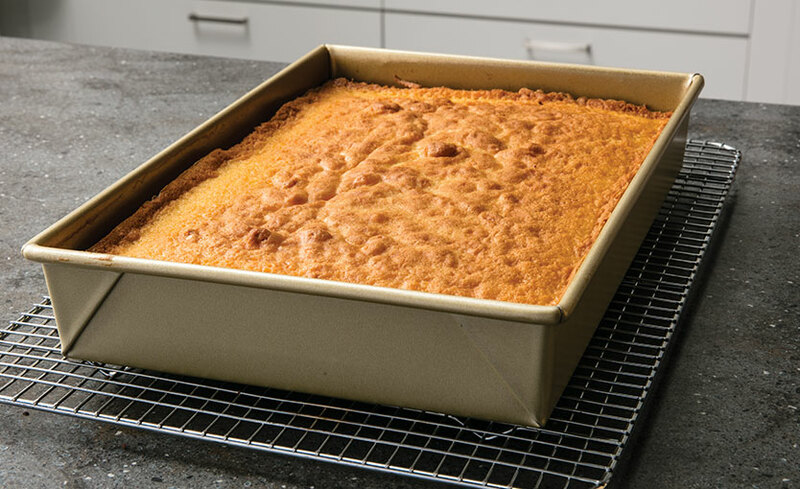 The toothpick test is the gold standard for determining doneness of cakes, but with sheet cakes it’s important to also use other cues given in the recipe; because of the cake’s large surface area, it may take a few tests to determine doneness. Use the baking times as a guide and refer to visual cues. Use a closed star tip and hold the bag perpendicular to the surface of the cake. 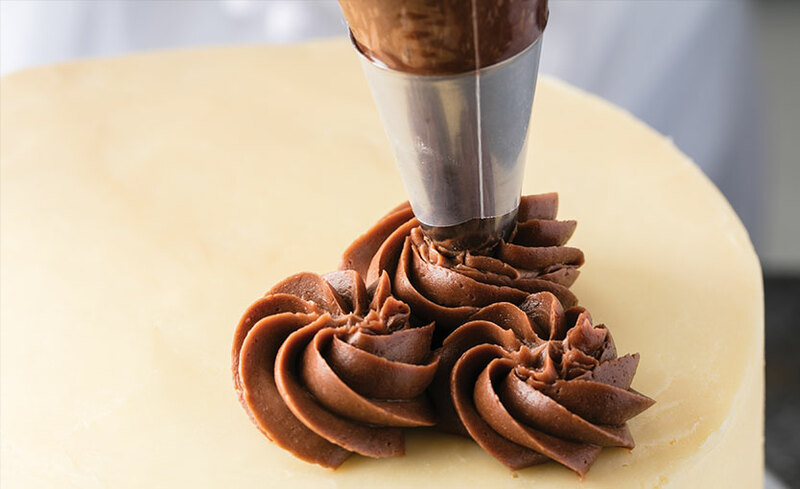 Slowly pipe out the frosting while directing the tip in a tight, circular motion, then top piping and pull bag straight away from the cake. You can top rosettes with a garnish if desired.